As a reader who tries to roam far and wide on the literary landscape, I’d like to think I know craziness when I see it. And Joseph Heller’s Catch-22 is crazy. I’ve tried to write a detailed and semi-coherent plot summary. And I’ve failed to write a detailed and semi- coherent plot summary. So I won’t try anymore. Catch-22 is all over the place. Norman Mailer dubbed it “the rock and roll of novels,” and if by that he means that there is little discernible flow or structure to it, then I agree – rock and roll just about says it. This lack of narrative flow would usually be a turn-off for me, but Catch-22 is an exception. I would even argue that lack of flow is part of what makes the novel as potent and memorable as it is. They say war is hell, but according to Catch-22, it is also absurdity. Chaotic, vain, bloodletting absurdity. In keeping with this theme, Heller opts for a storytelling approach that is less-than-tidy; that is, in fact, the opposite of tidy. Just like war itself. 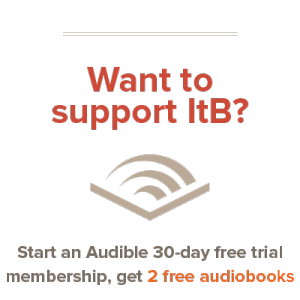 The novel is set in World War II-era Italy, and centers around a young bombardier named Yossarian, who happens to be furious because thousands of people he has never met are trying to kill him. His worst enemy, though, is his own army, which keeps increasing the number of missions the men must fly to complete their service. Oh, and there’s a catch… did I mention a catch? 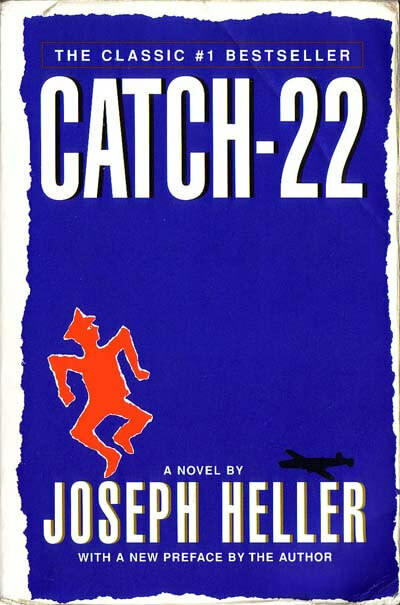 There was only one catch and that was Catch-22, which specified that a concern for one’s own safety in the face of dangers that were real and immediate was the process of a rational mind. Orr was crazy and could be grounded. All he had to do was ask; and as soon as he did, he would no longer be crazy and would have to fly more missions. Orr would be crazy to fly more missions and sane if he didn’t, but if he was sane he had to fly them. If he flew them he was crazy and didn’t have to; but if he didn’t want to he was sane and had to. Yossarian was moved very deeply by the absolute simplicity of this clause in Catch-22 and let out a respectful whistle. Confused yet? Good. To couch the Catch in less mind-boggling terms: a man is insane if he willingly flies combat missions, but if he makes a formal request to be removed from duty, he is proven sane and therefore required to fly. Saavy? Catch-22 is a satire, and a funny one at that. But no amount of humor can disguise the fact that it’s also a very grim, cynical, and sad piece of work. Heller doesn’t go for the subtle approach, either – his tool of choice is less the scalpel than the cricket bat, and war is his pinata. A pacifist I am not, but I did appreciate reading this book. It gave me a different perspective to consider, and for that, I am always grateful. I even found myself in agreement with some of Heller’s criticisms (which surprised me). Having said that, it seemed to me that in certain respects, Heller is so over-the-top as to be unfair. becomes a sensible enterprise only to malevolent, invisible, powerful interests behind the scenes. Soldiers were meaningless because modern war itself was so terrible and costly that no cause or victory could justify it. And of course, “when war is madness, soldiers can only be stooges, sadists, victims, or lunatics.” Those four types are, indeed, the only types you’ll find in Catch-22. But is not this a rather lopsided way of looking at things? Am I really to believe that war is ever and only madness, and that those who fight are ever and only insane? Perhaps it’s just me, but I find it hard to reconcile such a picture with the one in, say, Ambrose’s Band of Brothers. Perfectly decent, honorable people are driven to war for very sane reasons. So long as one group of men on this planet would take what they want or impose their will by force, civilized people will organize to defend themselves and defeat them. Another way of saying that is, evil exists. So long as men are both good and evil, inside themselves and in their actions in the world, there will be conflict. And where there are evil forces at work in the world… good men and women will step forward to fight. Soldiers make mistakes. They get scared. Sometimes they become tragically confused, shoot at the wrong people, and get injured and killed. We may even be driven to question the wisdom of their leaders. But along with these mistakes and questions, we shouldn’t lose sight of “the undeniable nobility of military service.” Attributing all war and all soldiering to insanity (or worse) is unfair at best; brazenly deceitful at worst. By all means, read Catch-22. It’s a pivotal work, and one which deserves consideration regardless of one’s politics. Just remember there’s another catch, besides the Catch – just remember it’s not the whole story. Note: potential readers should be aware that this novel contains plenty of salty language and a considerable amount of sexual content. Most of the latter is intended to come across as ridiculous rather than sensual, but it’s problematic nonetheless.